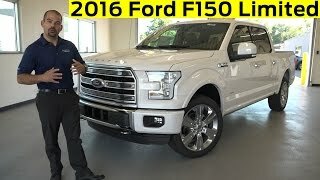 Ford with its F 150 truck is serving the USA since long and now to celebrate its long glory, they released the Ford F 150 Limited 2016. The model is claimed to have pounds of towing capacity and with tons of luxury inside its muscular body. As said by one of the official, ‘the model is too gorgeous for its work’. 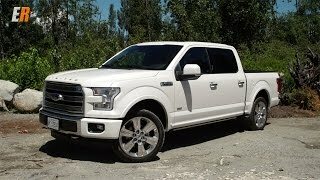 Let us have a look at the review of Ford F 150 Limited 2016 to know in details about the specifications and features. The interior of Ford F 150 Limited 2016 carries the new trend which company started their recently released F-150. The dashboard comes dipped in the high-end materials splattering soft touch of luxury while the new SYNC 3 infotainment system adds extra stars to cabin. With its enhanced features the new infotainment system not only eases the uses but makes it more likeable with fast processing. Talking about the seats; all five gets the essence of black and Mojave leather lining while the front two bucket seats come with heated and cooling function. Not only this have the front two seats supported 10-way power adjustment and company’s multicontour massaging also while the rear seats are heated. The cabin also gets work of eucalyptus wood and aluminum trim pieces while the armrest located in center holds the unique ‘Limited trim’ badge with distinct VIN of every truck. 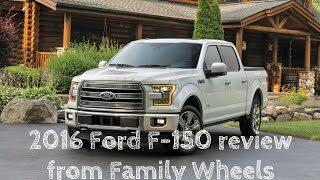 Thus rounding up the interior details of the Ford F 150 Limited 2016, I would say the same thing again; it’s luxurious, sportive and powerful. The exterior of Ford F 150 Limited 2016 loudly narrates its ‘being Limited’ saga. Starting with the front fascia it has the three-bar design grille with three small horizontal bars. At the either corners of it, sits the LED headlights and fog lights while the body-colored bumper gets the chrome work. Moving towards the rear you’ll notice the LED lighting effect onto the side mirrors and side-mounted floodlights while the rear end has the satin-chrome appliqué on the tailgate. The LED tail lights also feature the radar sensors that supports, blind spot monitoring and cross traffic alert. 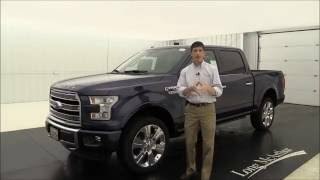 Rounding up the exterior details of Ford F 150 Limited 2016 I would say these all with power-deployable running boards, remote tailgate release, panoramic roof and the color options make the model impeccable in its genre. 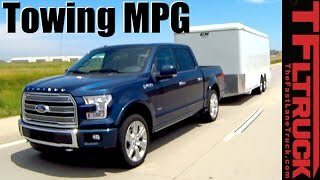 Beneath the hood of Ford F 150 Limited 2016 is a 3.5 Liter V6 EcoBoost engine cranking total output of 365 hp and peak torque of 570 nm paired to six-speed automatic transmission. The performance figures of Ford F 150 Limited 2016 are not yet shared but are speculated to be out very soon.